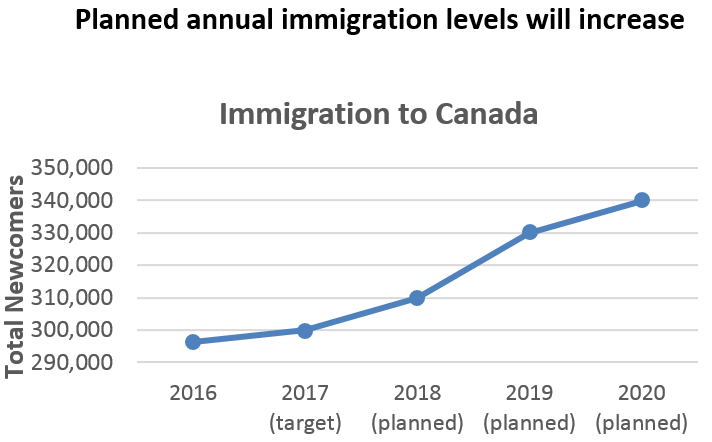 The Government has set out a multi-year immigration levels plan that commits to welcoming more permanent residents to Canada over the next three years. In 2018, the Department expects to welcome between 290,000 and 330,000 new permanent residents (with a target of 310,000), which is the highest level in recent history. 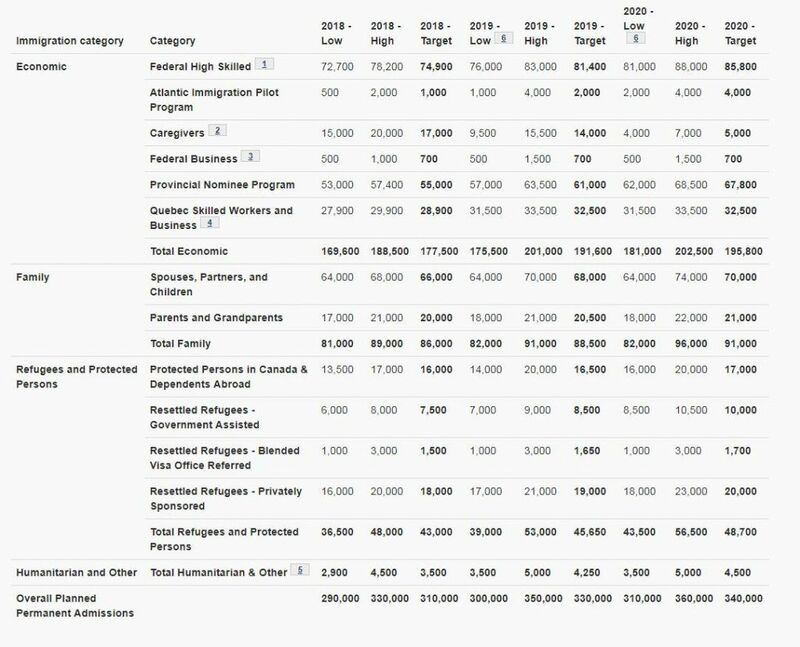 Moreover, this plan includes raising immigration levels to between 300,000 and 350,000 in 2019 (targeting 330,000), and between 310,000 and 360,000 in 2020 (targeting 340,000).